The increasing tendencies to youth radicalization in the Sahel that often lead to violence are central to policy concerns. The measures taken to tackle this radicalization have been largely one-dimensional and adopt a military approach. So far, the results have been increasing violence and even less control. Is there an alternative or supplementary approach? To formulate such an approach, we need to listen to the youth who radicalize. Attempts to listen often fail to reach the most vulnerable youth, who usually live in city suburbs or in rural and remote areas. To reach these youth and develop an alternative to radicalization, we propose culture and knowledge as specific tools tailored to develop dialogue, create alternatives, and make the youth feel they are in fact heard and accepted as full citizens. This is a first step to an inclusive youth policy against radicalization. A second step is the sharing of knowledge about this topic: what is radicalization and why do people radicalize? Research indicates there are many avenues of exploration. What do the youth themselves have to say and what are their solutions? This policy brief reflects some of the opinions and ideas that were formulated in film, text, music, art, and debate during the international ‘Rencontres V4T@Dakar’ on 15–18 November 2017. This short policy brief is the result of discussions, film making, music, text writing, art, and slam poetry with and among Dakar youth and invitees from different countries in West and Central Africa and the Netherlands, during rencontres held in Dakar from 15 to 18 November 2017. These rencontres were organized to open a discussion about radicalization with the youth in the region. All Sahelian countries are touched in one way or another by violent radicalization, which often has a religious orientation. However, what became clear from the discussions at Dakar is that the forces behind these violent radical expressions can just as well be turned around and become positive forces for social change in society. How can we harness this radical energy, channel it away from the feelings of frustration and hopelessness that result in violence, and create instead a momentum for social change? We cannot afford to wait for another five years to start a real dialogue with the youth, who may in the meantime decide to join the violent radicals. Radicalization has become a ‘buzz-word’ to capture the tendencies to violent organization of religious groups in the Sahel and elsewhere in the world. However, radicalization per se is not necessarily violent or religious; it can be related to ideologies that are pacific—or, for instance, to something like vegetarianism. Historical cases show that radicalization can be a decidedly positive force in society. It has often been related to a wish for social, political, and economic change, and under the violence of many youth there may well be this layer of longing for social and political change. The increasing violence in the Sahel, however, has not led to a return to this understanding of the various causes of radicalization. Instead, the link between radicalization, religion and violence has become strong and it is difficult to counter it. Measures that taken are multiple, a.o. developing a counter narrative and creation of employment, but the past year it seems that the military response has gained importance. Demanding radical change includes criticizing the established order. This will always provoke a counter-reaction from the establishment, and violence can rapidly result from this reaction if it is not recognized in time what the root causes are. From one point of view, young people are always radical. They are still in the process of becoming individuals, finding meaning in their lives, and making choices about how to live. We need to understand this phase of liminality and empathize with it far more than we do. If we do not make the effort, we will be unable to understand which factors can operate as counterforces or alternative channels to the radicalization in a violent form that arises from neglect of youth’s concerns. That the security situation in the Sahel is becoming uncontrollable is a matter of deep concern. The ‘fight against terrorism’ seems to have countering effects at first glance, but the undercurrents of the radical groups are still very strong. 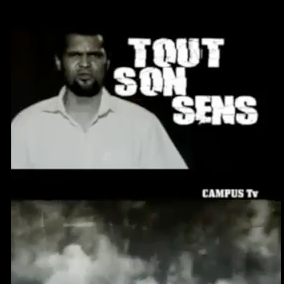 The case of Central Mali, where every day more attacks are recorded and where the military are accused of discrimination and stigmatization against certain ethnic groups and other abuses, shows that we are faced not only with radicalization of young people in religious and violent terms, but also radicalization of young people such as the military in racist terms. Furthermore, radicalization of youth is also conducted through social media and can hardly be repressed. One important emotion that drives action and reaction in this chaotic situation is fear. When we inventory the actions that are undertaken, it is clear that the military dimension is important. Major financial and material contributions from the EU, the USA, and also the AU and African governments go toward military intervention—with development plans only as a kind of afterthought. The G5, national governments, and MINUSMA seem to be caught in this logic. Violence, however, will be answered inevitably by more violence. We cannot deny that the situation is complex and that the role of international criminal organizations and international flows of capital, arms, and people are crucial in all this. The repressive response is already necessary; but we are also confident that an approach that takes the youth as its starting point may be the most fruitful in the long run and is far better geared to developing a future of citizenship and responsibility. In Sahelian countries, youth under 35 years constitute 70–80% of the population. These youth are multiple; there is no single group. We should distinguish between rich and poor, between well educated and those having no access to education, and so on. The fact is that the majority of the youth of Africa live in poverty, have limited access to any form of education, and are often unemployed. They can be defined both as at risk and as an opportunity for the future. In the discussions around radicalization, they have become defined as mainly a risk factor. The V4T event in Dakar attempted to change the debate and open new possibilities. How can we really reach out to those who may be labelled ‘forgotten youth’? It is astonishing how much creativity and innovativeness can be found in the banlieues in Africa. However, these youth have few or no platforms through which to express themselves. One of the large problems for a considerable portion of the youth who live primarily in peripheral regions is that they are neglected by the state. This separation from the state is not only a dangerous risk but a missed opportunity: it loses the possibility of engaging these youth and their energy to be part of society and play a role as ‘conscious’ citizens. Forgotten youth in Africa are not included in policy forums organised at various levels from local to international. The youth who attend these forums are often elite, well educated, and from relatively wealthy families; they bear little relationship whatsoever to the vast majority of African youth. A special group that can be a target for policy change, a group much closer to the forgotten youth and living among them, are young radical innovators. These are the forgotten youth who have been able somehow to acquire skills to become active citizens, and often they are already youth leaders in their communities. Youth culture and urban culture are central in the lives of the forgotten youth. The genre Hip-hop is recognized as an important form of expression, a way to exchange ideas and emotions, and a form of conciliation through music (rap), poetry (slam), design (graffiti), and dance. Art offers a language that can help to reach out to the forgotten youth. This was a particularly clear conclusion from Rencontres V4T@Dakar. Our point of departure is that radicalization in most youth is a positive demand for attention to their situation and is full of positive energy for change. The different actions and interactions during Rencontres V4T@Dakar opened new perspectives and ideas for alternative ways to address the present-day situation in the Sahel and to reach out to the youth and change opinions about the notion of radical/radicalization. Youth are not a homogeneous group. The differences between youth who live in rural or urban regions, who differ in gender, in wealth, in education, in habitation (rural/urban) and in initiative must be taken into account in our policies. Each of these groups may differ in their needs and hence demand for an adapted approach to their situation. Discuss concepts and their use with instead of only about the youth. What we learned during Rencontres V4T@Dakar was that we talk far too much about the youth that radicalize, but without listening to them. This is a first lesson we have to take into our practice of policy and decision making: try to come as close as possible to the groups about whom we speak. The youth in Dakar we encountered had never heard about the discussion of them as being at risk of radicalization. This is clear also with regard to radicalization and security issues. In finding solutions to the problems we relate to radicalization, there can never be one measure for all contexts. Learning from different contexts helps to understand one’s own situation better. What we learned from Rencontres V4T@Dakar is that exchange is important, even critical, and that regional diversity has to be given attention in the development of policies (unfortunately not always the case). Understanding mind-sets and contexts of radicalization. Radicalization is seen as a development in an individual; however, this always takes place in a specific context. Understanding the context and youth’s perception of this context are key to understanding violence and radicalization. Making youth aware of the environment in which they live and of what the possible itineraries are that they can take as a response to this environment are very important. This awareness-raising has to be context-sensitive, because the possibilities in one region or country can be quite different from in another. It is important that people are aware of possible risks that contribute to radicalisation. Of course these are multiple. We can learn by listening to experiences of others. Such awareness needs to be raised among both adult and youth populations. The discourse on radicalization is too much entangled with a focus on youth’s tendencies to violence and terrorism. We need to change this into a discourse on entrepreneurship, positive energy, creativity, and possibilities. Radicals are part of society; they always have been, and they are an important force in positive social change. A demand for change is not a negative force; the question is about the means through which this change is to be effected. We need a discourse that recognizes the need for change and is open to the concerns that youth have, but a discourse that frames such change in terms other than violence and terrorism. Art is an excellent way to voice the concerns of the youth and is a medium the youth themselves can use. There is a huge school dropout rate among the youth in the urban peripheries. These youth do not lack intelligence; however, if they do not learn the skills that will allow them to live in dignity and express themselves constructively, they will tend to flee into migration or descend into criminal actions. In general, there should be far more room for the creativity of youth and a specific focus on providing and fostering platforms for such creativity (be it through music, slam, citizen journalism, art, dance, theatre). There is a lack of knowledge about what is really happening in the peri-urban areas in Dakar and other large cities in West and Central Africa. The stories and narratives about the suburbs, including narratives about radicalization and criminalization, are not always based on reliable facts. Organize education and rencontres (between youth in all its diversity (gender, age, education, etc), policy makers, NGO’s, State representations, etc.) in the peri-urban and remote rural areas. There you will find the youth who are already possibly radicalizing. This education and the rencontres should enable the youth to express themselves better, to formulate their problems, to find dignity in who they are, and to develop an identity that they can defend towards the authorities. This will also prepare them for a meaningful participation in decision making. Education then will be in cultural and social skills, in keeping the (urban) environment cleaner, etc. Part of the education is to understand radicalization as a positive force and change ir into a discourse on entrepreneurship, positive energy, creativity, and possibilities. This should be part of the education platforms. Target especially the main players for this organization of education and rencontres, the innovative, positively radicalized youth, such as musicians, cultural leaders, and artists in general. In the Netherlands, the concept of the buurthuis (community centre), can be an inspiration to set up centres that implement this idea of education. Le centre G-HipHop à Dakar est un exemple. At the level of governments, create a lobby for vocational schooling; this space is now increasingly occupied by international NGOs, who fund for short periods only and have contact primarily with the highly educated youth and rarely with the forgotten youth. Furthermore it is the State’s responsibility. The peri-urban neighbourhoods can profit greatly from alternative forms of education. Creating green environments and cleaning up neighbourhoods, for example, are actions that can be included in alternative forms of teaching and collaboration—such actions are already undertaken by individuals at cultural centres such as G Hip-Hop. From these examples, this kind of activity can be up-scaled. Rencontres V4T@Dakar reached different groups of youth in the peri-urban neighbourhoods—both the already more educated and the forgotten youth. The concerts were a particularly important means to reach the forgotten youth. Concerts should be used as platforms also to launch discussions. Hip-hop, and within in it rap, is a genre that has the power to entertain and create awareness at the same time (see the article that appeared on Oneworld.nl); Rencontres V4T@Dakar-like initiatives should be extended to schoolchildren both at primary and secondary schools, but they should also try to capture those youth who drop out of school. A further development of the alternative ‘school’, such as Rencontres V4T@Dakar was, is necessary. Rencontres V4T@Dakar also created a crossroads’ moment where decision makers at different levels—NGO, state, national, and international—met with the ‘real’ problems in the neighbourhoods by attending the artistic expressions and citizen journalist projects that were realized. This should be developed further. The development of a more permanent structure (it can be a soft structure) to facilitate these encounters is important. The role of ICTs as a tool to facilitate, inform, and reach out should be further explored. Youth, and not least the forgotten youth, are very much acquainted with these modern means of communication. During the meeting of Rencontres V4T@Dakar at the Dutch Embassy, we were impressed by the many beautiful ideas of the young people from Guédiawaye and Pikine. They presented their projects to green their environment, their DJ projects, the songs they create, the ideas they have about education. This is probably the most important thing to do as soon as possible: to connect all these young people in their projects—and foremost to facilitate them so that they can join together and share ideas. It is likely they already have solutions for those among their fellow youth who do not really know where to turn. The young people in Dakar made a plea for better information about theie life-conditions. This could be part of the products they make for their own quarters, providing the right information to policy makers so that the latter can base their policies on ‘real’ facts. Talking from the outside about youth and radicalization is largely a discourse of violence and terrorism and military response. The key to moving beyond this and fostering responsible and engaged citizenship among youth is to listen carefully to their concerns, facilitate interactions with and among them, and engage their abundant energy for positive change. De Bruijn, M. E. & J. Both. 2017. ‘Youth between state and rebel (dis)orders: Contesting legitimacy from below in Sub-Sahara Africa’, Small Wars & Insurgencies 28(4-5): 779-798. Dzhekova, Rositsa et al. 2016. Understanding radicalization: Review of literature, Centre for the Study of Democracy, Available from: https://www.researchgate.net/publication/309732865_Understanding_Radicalisation_Review_of_Literature [accessed 7 February 2018]. ISS report. 2016. Les dynamiques de la radicalisation des jeunes en Afrique : Revue des faits. Novembre 2016 ISS. Schmid, Alex P. 2013. Radicalisation, de-radicalisation, counter-radicalisation: A conceptual discussion and literature review. ICCT Research Paper (International Centre for Counter-Terrorism), The Hague.